Everybody wants to plunge into the importing and exporting business nowadays. Improved technology, faster communications and the lucrative promises of E-commerce and international trading have attracted more players towards the trade industry. The trade industry is zooming in at the opportunities, particularly the potential profits from deals with manufacturers from China. Well, as China is situated on the other side of the world, traders from the US are necessitated to find means and methods of bringing products from Asia to this continent — in the fastest time and cheapest cost as possible. This is also the reason why traders involved in shipping from China to US tap freight forwarding companies to handle the intricacies. There are a lot of options traders can choose for their shipping from China to US. It is just a matter of considering the urgency, cost, and preferences. Once the preferences are set, the freight forwarder sets the shipping process into motion. However, there are also a lot of factors involved in shipping from China to US that can make or break your desired profit margin. This is what we are going to look into and help you understand through this article. We have come up with a comprehensive guide on choosing the right freight forwarding services for shipping from China to USA and selecting the best freight forwarder for your business. We have also thrown in some tips in reducing your shipping from China to US cost to maximize your profits. Note: Although most, if not all of the terms and situations used in this guide are applicable in transactions with other countries, we are purposely focusing on the details revolving around shipping from China to USA. Shipping time from China to US: Lead time on freight forwarding services. International trades are done by people who speak different languages. This may cause some problems in the communication processes. The trading process itself has more complications especially when two or more countries are involved. In this situation,for example, there are notable differences in trade laws, local practices, and taxes between China and the US. This could add some complexities when shipping from China to US. Fortunately, international trading groups came up with a universal language —the Incoterms Rules® 2010. The rapid expansions in the industry of trade and commerce necessitated the need to update the old version of Incoterm® from 2000. Incoterms are a set of rules used by traders involved in shipping from China to US to clearly define the roles and the associated accountabilities and responsibilities between buyers and sellers. These terms and definitions discussed below are widely used in international trade contracts. A thorough understanding of these terminologies is highly beneficial to every transaction done with suppliers, freight forwarders, and basically with any trader moving forward. Here are a few of the Incoterms used by international traders including those who are involved in shipping from China to USA. FOB stands for Free on Board. FOB is the most commonly used type of agreement as it is deemed to be fair for both buyer and seller. The supplier is solely responsible and liable for goods until it is received by the carrier on a designated location to be the point used in shipping from China to US. From then onwards, the responsibility and liability transfer to the buyer. There are also two subtypes of FOB: the FOB shipping point and FOB destination point. FOB shipping point means the responsibilities and liabilities of the supplier ends once the shipment leaves the dock and is now shipping from China to US. FOB destination point means the responsibilities and liabilities are transferred to the buyer once it arrives at the port of destination. 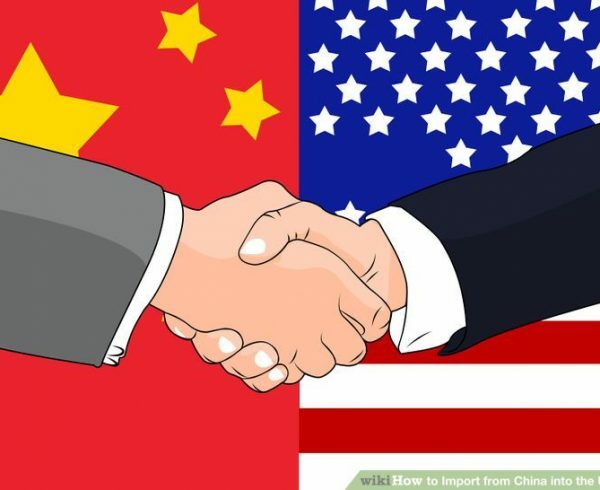 This type of agreement is only applicable for transactions that are using the sea freight method in shipping from China to USA. A CIF or Cost, Insurance, Freight type of agreement solely places the burden on the supplier. The supplier covers all shipping from China to USA cost, including the insurance. Both parties shall agree on whether the delivery ends at the point of destination or at the final delivery address. The buyer is responsible for paying the costs once the goods arrive at the point of destination though. The CIF agreement is much more expensive compared to the FOB as suppliers add a premium charge to compensate for their efforts. EXW (Ex Works) type of shipping is an agreement in which the buyer arranges every step necessary for the goods’ shipping from China to USA. The only advantage for buyers that we can think of is they have complete control of most, if not all of the processes involved. Manufacturers love this form of agreement. The seller is only obliged to help get an export license and Certificate of Origin. The procurement of other documents falls in the hands of the buyer. EXW is not that popular and is rarely used alone.It is usually combined with other Incoterms for parties to arrive at a better and fair agreement. However, using a freight forwarder to handle the steps in the shipment process while using EXW could be beneficial for the buyer.Check out our guide in selecting a freight forwarder below. DAP stands for Delivered at Place. It is a type of shipping in which the seller makes all steps in the arrangement except for the import customs fee. The responsibilities and liabilities of the seller continue after the shipment lands at the port of destination. A DAP agreement places a seller in a disadvantage especially in the shipping from China to US cost. The buyer usually chooses where the cargo shall be picked up —either at his preferred warehouse or at the terminal. DAP, however, requires the buyer to be responsible for the unloading. Delivered Duty Paid (DDP) is an agreement wherein the seller is responsible for all arrangements including the import customs fees. The buyer’s only responsibilities are unloading the goods and paying for import clearance —if not agreed upon. The place of delivery is usually the buyer’s warehouse of choice. Both parties must agree upon the details and payments inclusive within the transaction before it is finalized. Usually, the seller adds every additional expense in the total shipping from China to US cost and presents a cumulative quotation called the landing cost. The buyer then decides whether to push through with the importation or not. Once finalized, the seller chooses a preferred carrier that can decrease the costs as well as the shipping time from China to US. DDP is not convenient to the seller, especially when the customs clearance is part of the burden. The US government is very strict in the classification of importation and its requirements and fees. In order to avoid such complications, both parties must agree that the buyer must pay for the import clearance. In instances where DDP shipment does not clear customs, the seller has the obligation to find another carrier or delivery method that may affect the shipping time from China to US along with additional expenses. The Bill of Lading is a document between the shipper and carrier that acknowledges the receipt of cargo for shipment. The BOL is an absolute requirement in order for the shipping from China to US come into fruition. International laws such as the Hague Rules, Hague-Visby Rules, and Hamburg Rules require the carrier to issue a BOL stating the details of the cargo such as nature, quantity, quality, and leading marks. To be specific, these are the specific details mentioned in a BOL used in shipping from China to USA. It is an acknowledgment that the cargo has been loaded; a conclusive receipt. It contains the terms of the contract. It serves as a document of title to the goods. The advancement of technology and easy access to the internet has created the option to use paperless BOL for shipping from China to USA. Also called Electronic Bill of Lading, this digital document performs the very same functions and legality as a paper BOL. This ocean freight term is used for shipment that does not fill an entire container. Other customers of the freight transport provider can use some of the container’s space and everybody share with the cost. This is a more convenient and reasonable form of shipment for cargo weighing less than 150 kilos. However, LCL may be a bit expensive in the end with additional costs piling up on multiple shipments. There are situations wherein the local charges are much higher than the actual shipping cost. FCL is another sea freight term which is used in opposition to LCL. However, it does not mean the container must be fully loaded. It is a term used for the type of shipment discussed in a single transaction. Most shippers choose FCL in shipping from China to USA due to the benefits and decreased risks involved. Elimination of consolidation and deconsolidation. Decreased risk of loss and breakage. Shorter transit or shipping time from China to US. FCL is the most cost effective freight method if measured by cost per volumetric unit and weight. 2.1.2 How does sea freight shipping from China to USA works? 2.3.2 How does carrier shipping from China to USA works? A freight forwarder is an entity that is responsible for organizing shipments from a manufacturer to the buyer or to any point of distribution in the undamaged state. Using a freight forwarder instead of a customs broker has advantages when shipping from China to US. More discussion on these advantages below. Also called shipping management services, freight forwarders deal with all Incoterm stuff and logistics for the customers. The freight forwarder is tasked to handle the packaging, labeling, and making sure proper documentation, as well as shipping from China to US cost, are covered and completed before shipping either by air freight, ocean freight, China Post, or via a Global Courier. There may be four choices for shipping from China to US but there are just two ways your products are sent from one continent to another —by sea or air.However, it is still nice to look at the specific modes of transportation to have a better understanding and come up with a decision that could perfectly fit with your own business plans. Sea freight or ocean freight is the main method of shipment used by most people who are involved in high volumes of shipment in the importing and exporting business. The sea freight industry in China became a major player in international trades more than two decades ago. Sea freight is the freight forwarders’ most commonly used method of shipping from China to USA. Sea freight shipping is the process of physically transporting commodities, goods, materials, and cargo by sea. It is the oldest mode of transportation used in trade and commerce. Also called merchant shipping, sea freight shipping is considered the lifeblood of the world’s economy. The farther the distance, the longer will be the transit. When using sea freight in shipping from China to USA, the freight forwarder provides options for the shipper. Discussions include which shipping method to use, whether to use FCL or LCL, the Incoterms to be applied, the procurement of necessary documents from both countries, the payment, and delivery methods involved. Most shippers and freight forwarding services use sea freight shipping due to its ability to significantly decrease the shipping from China to US cost. Sea freight shipping is preferred for transporting cargo of usually large volumes (150 kilos and above), are to be transported across oceans to reach a certain destination. Any type of goods are allowed to be transported via sea freight shipping. Heavy equipment like cranes, trucks, and project cargo are mostly transported via sea freight shipping. Sea freight shipping from China to USA is also used whenever time is not a factor –which is quite normal for large volume shipment. A large volume of shipment at a much lower shipping cost is probably the best reason why ocean freight shipping is chosen among other forms of shipping. Freight forwarders and their customers practicing sea freight shipping from China to US usually plan their shipment months before the date of arrival at their point of destination. There are generally three types of containers used in shipping from China to US. The 20’GP is usually used in carrying heavy goods. The 40’GP is usually used to carry voluminous cargo. Note: The max load of a 20’GP and a 40’GP is the same. In China, for example, the maximum load for both types of containers is 27-28 tons. A general purpose container is used for dry goods and is interchangeably termed as Dry Container (DC). Products that are made of liquid or gas are placed in solid containers which are then measured by volume and classified as special. Both FCL (Full Container Load) and LCL (Less than Container Load) are available for sea freight shipping from China to USA. LCL demands more work for the freight forwarder which can ramp up the costs. Tracking of items is much harder for LCL. Lost, misplaced and damage of goods is unlikely to happen with FCL compared to LCL. In order to fully utilize the space of a container, pallet is commonly used to stack the cartons or parcels of merchandises. In ocean freight shipping, your pallets should ideally pack tightly into your shipping container. This is independent of whether you’re shipping port-to-port or door-to-door. The most suitable pallet for your container shipment depends on your supplier and the markets involved. The following factors determine how many pallets you can fit into a standard container. Pallet loading height:What is the height of your product after it’s stacked onto the pallets? This depends on product size and weight and influences possible loading of tiers in your container. Clarify the loading height of your pallets with your product supplier or manufacturer. Load weight:This must be considered for heavy pallets since their weight may reduce the maximum number of pallets allowed per container. Keep load and road weight limits in mind. Container space:The pallet arrangement within a 20- or 40-foot container should maximize the use of space in three dimensions. At the same time, the distribution should ensure efficient loading and unloading while minimizing potential damages. Your shipping and loading agent will assist you with the best pallet arrangement for your container. Unloading requirements:Factor in the needs of your customer or final recipient of your shipment, especially if they are in charge of unloading your shipping container. They might have limitations on loading height, tiered loading or preferential pallet arrangement within the container. Passage through buildings and doorways as well as onward routing may also be an issue. Sea freight shipping time from China to US takes more or less a month to complete. It is important to consider that the cargo will undergo a lot of stress and multiple loading and unloading cycles. Thus with the utmost importance, the packaging of every shipment must be considered to ensure the safety of the cargo. There are a number of rules and regulations from both China and the United States that must be strictly followed. Until a few decades ago, air freight shipping from China to US was a lesser option due to restraints in the capacity and safety factors. It is much different today. Air freight shipping is widely used in international trades. In 2016 alone, airlines all over the world transported 52 million metric tons of goods —about 35% of the total global trade value. There are now a number of available cargo planes like the Antonov An-225 Myria that can carry up to 250 tons. Air freight shipping is defined as the transfer of goods and products via an air carrier. The plane used may be chartered or commercial. This type of shipping is possible whenever there’s an aviation gateway —routes and destinations where an airplane can fly and land. Air cargo is best used for cargo that requires a quick transit time. Air freight shipping will always reach its destination ahead of ocean freight shipping. Shippers look at air freight shipping as a valuable and most reliable option for time-sensitive shipments over vast distances across the globe. Air freight is the preferred method for low volume cargo and direct city-to-city deliveries which immensely reduces the shipping time from China to US. 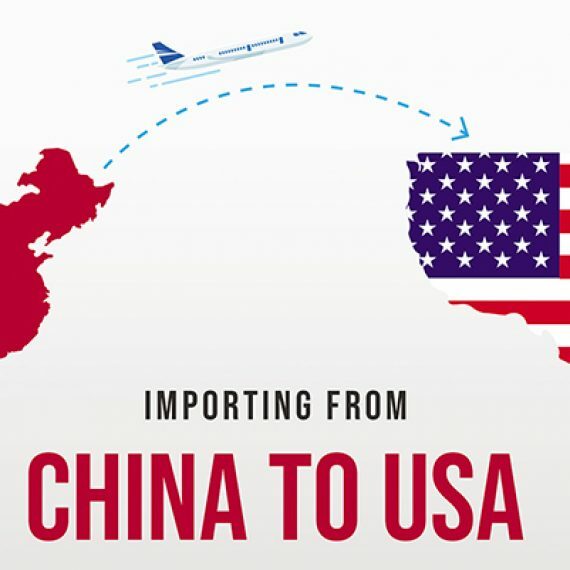 Lower inventory carrying costs and the opportunity to capture market share at a faster rate are the primary benefits of using air freight shipping from China to USA. Other benefits include minimal handling, better security, and decreased time spent on queuing upon arrival. Cargo damage, catastrophes, natural impediments, and piracy are major reasons why air freight shipping is preferred over ocean shipping. Be reminded that air freight shipping is an airport-to airport type of delivery. A carrier or freight forwarder is needed to pick up the cargo and fulfill all the clearances and customs fee before the goods are delivered at your listed address. Nowadays, air freight is commonly used in transporting unitized cargo. The typical air cargo consists of products and materials that are of high value and have operationally or commercially critical delivery time. Above all, all of the merchandises in air freight shipping can be categorized into either general cargo or special cargo. Perishable or hazardous goods are subject to different regulations, compared to general cargo. They have to pass through various inspections and need to meet numerous requirements, and not every airline can accept these items. The following names or descriptions of the commodity are typically classified as special cargo for most of the airlines: Lithium Battery Toys, Scooter, Hoverboard, Power Supply, Power Bank, Air Bag, Electric Board, Electronic Board. Of course, these benefits come with a price. The higher cost of fuel alongside the operational costs makes air freight shipping more expensive than sea freight shipping. Air freight shipping from China to USA also requires the importer to pay, process and secure the necessary documents, tariffs, and clearances once the cargo arrives at the city or airport of destination. Note: Make sure the type of packaging used in air freight shipping is made from light materials as every additional weight has an impact to your shipping from China to US cost. Courier service is provided by private courier companies that are specialized in transporting cargo to any place in the world in the fastest possible time. If importers seek for the method with the shortest shipping time from China to US, this is it. 2.3.2 How does express courier shipping from China to USA works? These companies have robust networks which make it possible to send and receive cargo in the fastest possible time. Customers of express couriers can also track their shipment in real-time. There’s no need for the customers to worry much about the documentation of their imported products as the express couriers handle everything including the customs clearance. Express couriers provide door-to-door deliveries. This is what separates them from air freight shipping, which essentially is an airport-to-airport service. The only downside for using express couriers is they are very expensive compared to other shipping methods. There’s no way traders can get any profit when using express couriers all the way. Importers planning to do some shipping from China to USA can use express couriers for sample and trial shipments before doing some high volume purchasing. Testing the waters prior to a big time spending is a wise strategy importers use. They are able to determine profit and product sellability before ordering by bulk. However, there are freight forwarders who have directly signed contracts with international express couriers like FedEx, DHL, and UPS enabling them to book shipments for hundreds to thousands of customers. These freight forwarders can lower the shipping from China to US cost significantly. This German-based express courier is also the world’s largest courier service. Its presence is felt all over China as it leads the industry in terms of courier services and logistics. Their top-notch services and delivery speed makes them a priority among importers who perform shipping from China to USA. DHL e-Commerce that includes international and domestic parcel pickup, delivery, and return solutions which are designed for businesses. This US-based courier service is one of the largest and most successful courier service in the world. This courier started operating in China in 1984 and has grown tremendously over the years. FedEx has now over 9,500 employees and is among the few courier services with a license for shipping domestically. FedEx has an average of 220 cargo flights that operate from China to different points in the globe on a weekly basis. United Parcel Service (UPS) is one of the oldest and leading courier services in the world. It started its operations in China in 2001 through its partnership with China Express. UPS can arrange deliveries among suppliers in China as they also have the permit for domestic shipping. This courier service is also popular among suppliers for its fast shipping time from China to US. This international courier is based in Belgium. Although TNT was bought by FedEx in 2015, they still operate as a separate company and continue to serve 61 countries including Hong Kong and Mainland China. This is the regular postal services in China or Hong Kong. This state-owned courier service has about one million employees. It is the biggest China-based courier service in the country having 82,000 branches alongside 5 courier aircrafts. It is the cheapest form of shipment for those who are willing to wait and an economical choice for sending parcels and products. There are a lot of downsides for choosing this kind of shipping method. A glaring disadvantage of using China’s postal service is there’s no assurance or guarantee on the safety of your cargo. There are a number of variables freight forwarders consider when shipping from China to US. All of these factors are influenced by how much you can pay. A cheaper shipping methodology will take longer to arrive. A methodology with a little nudge in the costing can decrease the shipping time from China to US significantly. The choice is yours. If you decide to pay and bring in the shipment into the US as soon as possible, freight forwarders will find the most optimal method available. Air freight is by far, faster than ocean freight shipping. However, compared to express courier, air freight shipping is slower by a few days. The delay in lead times is due to the more complicated air freight operations—something express couriers do not experience. Air freight shipping time from China to US East coast can take from 4-5 days, depending on the airline and airport of destination. Air freight shipping time from China to US West coast can take from 2-3 days, depending on the airline and airport of destination. Ocean freight shipping is the only viable, inexpensive option for large volume shipping from China to USA. If the lead time is of least importance compared to profit and sales. Sea freight shipping is considered to be the cheapest – and the slowest- mode of shipping. Most of the busiest ports in the world are located in China. If you are going to partner with a Chinese manufacturing factory, it is important to know and determine where the ports with the closest and highest/lowest volume of traffic are at. Knowing this can save a lot on the shipping time from China to US. Shanghai is located at the tip the of the Yangtze River delta. The city is considered to be one of the fastest economic growth in hinterland China. The port can extend its reach to the inner provinces through river ports along the thousands-mile-long waterway. The neighboring Jiangsu and Zhejiang provinces have a lot of factories in their area making Shanghai port ideal for shipping from China to US. Shenzen port is the gateway to Hong Kong as well as to the Pearl River Delta. The port plays a key location as it connects China’s southern hinterland to the world. The Qianhai-Shekou Free Trade Zone covers the entire west port area and provides more efficient customs clearance and better trade links with overseas markets, including shipping from China to USA. Ningbo continues to be blessed by its superior hinterland and natural conditions, while Zhejiang is a wealthy region, which has a full-blown manufacturing industry. Following efforts to build an efficient intermodal transport network, Ningbo has extended its reach further into the hinterland, to central and west China, bringing greater box volumes to the port. Hong Kong Port is mainly focused on China’s exports and imports. This transshipment harbor provides about 340 container liner services per week. Hong Kong Port connects to around 470 destinations on a weekly basis. The agencies handling Hong Kong Port is aiming to transform it into an international shipping service hub. This hub will be highly-specialized and focuses on the maritime services sector, ship management, brokerage, leasing, and financing. The Guangzhou Port is located in the Pearl River Delta. Guangzhou has a deep history as a key center of trade in China dating back to the Silk Road trading. Today, the port is starting to be a major player in international trade routes around the globe. Guangzhou port provides additional origin port options for importers, exporters, third-party logistics companies and ocean couriers. The newly-developed Nansha Port Area is also promoted as a supplementary port to accommodate larger volumes of containers. Port fees and berthing fees in this area have been reduced to attract more clients and business opportunities. Qingdao port plays a major role in northern China as part of the vital Bohai Bay port cluster. Its shipment is related to data, automation and e-commerce, all of which are the major products moved across the world’s top global ports. Qingdao is the starting point for the first Qingdao-Central Asian international cargo train. The train route links China with the countries of Kazakhstan, Uzbekistan and other some countries in Europe. Tianjin is one of the largest ports in China— second only to Qingdao port in capacity. Tianjin’s container-handling business is steadily growing with the addition of domestic and international shipping routes. New routes to be added are currently explored including the links to other ports in the US, Europe, and Australia. The emergence of Tianjin’s container industry will have a direct impact on the shipping time from China to US in the near future. Xiamen is situated in the mouth of the Jiulongjiang River and has over 68 shipping routes. The port has connections to over 50 countries and has direct links with Kaohsiung in Taiwan. Located near the border between North Korea, the port of Dalian, located in the most northern part of the country that is free from ice, is the largest port in North East China with links to over 160 countries. It also connects with seaports in East Asia, North Asia, and the Pacific Rim. China’s One Belt, One Road policy is starting to benefit Dalian port by opening international container route and using multimodal transport systems. More and more marketing strategies have been added and implemented to support the port’s development. The US highly depends on the ocean freight industry to be able to supply various products not only to its residents but to other countries as well. In fact, 26% of the world’s product consumption is supplied by the US. For those who are looking forward to doing some shipping from China to US, familiarization of the nearest, busiest, and largest US ports is a must. Choosing for the best possible routes and port of destinations is a strategic way of lowering the shipping time from China to US as well as shaving off some of the expenses. There are about 360 commercial ports in the United States spread across the East Coast, West Coast, and the Gulf Coast. Located along the coast of California, the Port of Los Angeles is the major port involved in Trans-Pacific trades. Its strategic location makes it the 19th busiest port in the world, based in container volume. It has an average of 4.5 million TEU handled every year. Sitting right next to the Los Angeles port is another major player in container trade with Asia. Annual trades at the Long Beach Port is estimated to be at $180 billion. Most container shipping from China to US west coast happen here. The New York and New Jersey port is the busiest port on the Eastern seaboard. Majority of the consumer trades in the world is happening here. It also handles other commodities like scrap metal, petroleum, and bulk cargo. The primary ports of Savannah and Brunswick are two of the biggest and most important ports in the North American continent. Port Savannah has the biggest single-terminal facility as well as the largest concentration of import distribution centers on the USEC. The Port of Brunswick, on the other hand, owns the distinction of being the port of choice for the auto industry. Located in the state of Washington, the ports of Seattle and Tacoma are growing to be two of the major handlers of international container volumes in the United States. Both ports are operated by the Northwest Seaport Alliance. The East Coast gets busier each day, thanks to the contribution from the port of Virginia. The port’s location is very strategic which makes it vastly popular. It is one of the busiest port due to its railway connections and port partnerships with other harbors in the Eastern seaboard. The port of Houston is said to be the busiest port in the US in terms of tonnage. It is no surprise that many importers and freight forwarders choose to unload their containers at the Houston port due to its vast area and state-of-the-art heavy equipment. There are two ports that can be found in South Carolina namely —Charleston port and Georgetown port. The port of Charleston handles containers, motor vehicle shipments, and cruise ships aside from having five public terminals. Shippers choose the port of Charleston due to its strategic access to other ports like the port of Georgetown, a location with great access to inland routes, which is just 60 miles away. The port of Oakland is one of the three major gateways on the west coast. It handles almost all (99%) of all container shipments moving in and out of Northern California. It has three container terminals and two rail facilities serving to over 14.5 million consumers. The port of Miami, located in the state of Florida is a strategic hub and considered to be in the middle of a global trade, commerce, and tourism. It links both continents of America by possessing the equipment that can handle neo-Panamax vessels. The ocean freight shipping time from China to US can take from 30-40 days on average (depending on which side of the US the cargo is to be unloaded) for the door to door shipments. Sea freight carriers usually do this—purposely prolong the transit time—to save on fuel. Traders must be reminded that sea freight shipping also requires additional preparation time of documents for both countries. Importers using sea freight shipping are also required to secure an ISF bond in addition to the single entry bond. Other factors that add to the prolonging of sea freight lead times are port congestion, custom delays, and poor weather conditions. Take note that freight forwarders will always find ways to keep the steps to a minimum and as efficiently as possible to reduce the shipping time from China to US. Couriers shave off a few days from that of the regular air shipping from China to US timetable. These services are best utilized for smaller cargo that needs to be delivered as fast as possible. The fastest shipping time from China to US of couriers ranges from two to five business days for their premium services. The lower priced services will take 5 days or more. The lead time of the regular postal services of China, well, is basically as slow as a turtle. In spite of that, they do have an express type of service that can shave off a week from the transit period. Basically, it will still take about one or two weeks before parcels or small boxes can reach any destination in the US. Reminder: Custom agents from the US will deprioritize the parcels release if they find anomalies in the paperwork. Make sure the supplier gets everything right before sending the package. 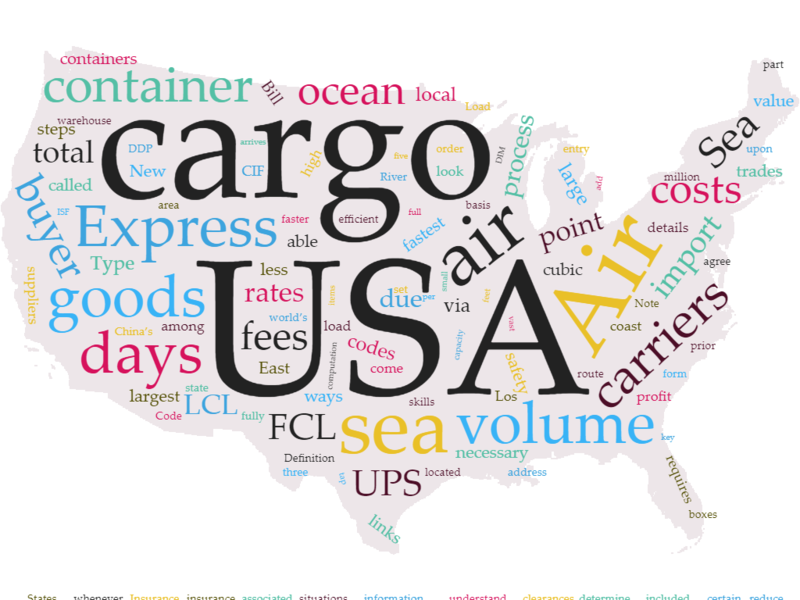 4.1 Ocean Freight Cost Composition and how to calculate them. 4.1.1 Port to Port (Container prices examples). 4.1.2 Door to Door and its additional costs and responsibilities compared to port to port. Many traders from the US have discovered that China is a good source of products that can make a good profit when sold locally. Unfortunately, some of these traders overlook a group of factors that significantly affect the total cost of importation —the shipping costs. Importers must deal with a lot of factors that make importing goods from China a little bit complicated. We will discuss in this section the factors that can influence the total cost of shipping goods and products from the factories in China until they reach the warehouses in the US. To help you in your decision-making, we will also compare the costs of using ocean freight and air freight. In addition, we will also provide some information and tips that can help you lower freight costs. Shipping cost from China to US is about $2000 to $2500 from China to the west coast of US for a 20 GP container; $3000 to $3500 from China to the east coast. That’s the port to port cost. Air Shipment with Courier is about $5.5-$7.5 per kilogram with FedEx depending on your volume, and $7.5-$9.5 per kilogram with DHL (faster and more reliable). The detailed calculation of freight cost will be discussed in the following sections. Read on. In sea freight shipping, the classification of the cargo has an impact on the shipping from China to US cost. There are sets of guidelines of classification used in the calculation of shippingcost. It is best to think about container types and sizes when it comes to sea freight shipping. Unfortunately, there will always be other factors that may also affect the shipping rates and will have an impact to the overall costing. A large chunk of the cost involved when shipping from China to USA involves the weight, distance,the shipment time, and the quality/classification of the cargo. This is the most important factor to understand. Know what you are shipping. It is a fact that the cargo shipped varies greatly from one shipper to another. What is crucial here is you know what you are shipping—legally. The cargo is classified based on an international set of rules (Read HS Code below). The freight forwarder can help determine if the goods are valid for shipping from China to USA and if they may require additional paperwork. The shipping rates are very volatile and may change depending on the season and availability of shipping vessels. Thus, make sure the information of your cargo is accurate to get the most accurate freight route and optimize the shipping time from China to US. Cargo transported via ocean shipping is measured by volume (cubic meters) and has a corresponding charge rate. Take note that extremely heavy shipment can affect the pricing. Coordinate with a freight forwarder and inform him about your freight weight. The freight forwarder will check if there will be additional charges after liaising with the carrier. This is helpful especially for regular international traders as the shipping from China to US cost is determined much sooner. This is the factor that should be planned and dealt with ahead of time. Haggling over spot rates can be frustrating at times. Spot rates radically change depending on the availability of space on the carrier’s vessel. Avoid situations like this by having the freight forwarder get hold of the latest freight rate quotes then determine the best pricing. Check for the latest rates for your type of shipment. Make a reservation/payment 30 days prior to your departure. The freight rate quotes are usually good for about a month before new changes are made. However, there may be instances freight rates change as often as weeks or days. Of course it is essential to know where the cargo is being shipped to and from. In addition to that, one should also know there are different types of terms traders use in relation to the destination. These are Port to Port, Door to Door, and Port to Door. Port to Port (PTP) services is a transportation agreement in which cargo is delivered from the port of origin to the port of destination only. The supplier is responsible for paying and securing the documents necessary so the cargo can be transported from China to USA. The buyer is then tasked to process all necessary documents and clearances once it arrives in the US, including the unloading and transportation to his warehouse. A preferred delivery agreement for importers living in the US, door-to-door only requires you to pay for the freight charges. The cargo will be sent to the specified address. Landed cost is defined as the total cost of a shipment the importer/buyer needs to pay. Every fee, clearance, tariff, and whatnot is included in the landed cost. These are also termed ‘Terminal Handling Charges”. The seller is responsible for these types of fees and the buyer must never be charged for the same services. Transferring cargo from the seller’s vehicle to the stack, then to the conveyance prior to departure. Transferring cargo from the arriving conveyance to the stack, then to the buyer’s vehicle upon arrival. The sheer amount of items associated with the landed cost can keep your head spinning indefinitely. Don’t get too overwhelmed though. There are generally two ways you can calculate for your total landed cost. One, you can do some research. Two, you can coordinate with Customs or a freight forwarder. The latter does these things for a living and make sure you’ll fully understand the concept as well as guide you find ways to keep the shipping from China to US cost to a minimum. Air freight shipping is expensive. That’s a fact. It may be true that the cargo can reach its consignee in the fastest time possible but another aspect to think about is the attached costs. Air freight shipping uses a different computation from sea freight shipping. The rates air freight couriers charge are dependent on the volume, or the space occupied by the cargo. Volume is calculated by multiplying the length, width, and height. The unit is all in inches. Chargeable weight computation is chosen between the results of two methods of computation. These are the actual weight and the dimensional weight (DIM). The heavier value will be used as the actual basis of the amount that you are required to pay, also called the billable weight. Dimensional weight is a standard formula used by companies involved in shipping from China to USA. The calculation of dimensional weight is shown in the figure above, and it’s the volume of the package divided by a factor of 166. The unit is in pound (lbs)(e.g., 1 kilogram is about 2.2 pounds). The density of the cargo is considered in the determination of the shipping costs. Here we will give an example to illustrate the concept we just introduced. HS Codes, also called tariff codes, customs codes, harmonized codes, import/export codes, and Harmonized Commodity Description and Coding System codes are used globally as a universal language for classifying products. Each product has a corresponding 6-10 digit classification number. Knowing the correct codes for the products you will be importing is of utmost significance. You can find the codes for your products through this HS Tool. With every product classification number comes a corresponding HS Code Classification number, HS Code Description, and import duty. For US importers, there is Harmonized Tariff Schedule of the United States (HTS-US) Code that you will need to use to calculate the import tax and custom duty, which is slightly different from the HS code that we just introduced. The first 6 digits of the HS code number corresponds to its main category, which is also the international code. The remaining digits on the right stands for the country’s (in this case the US’) sub division. Below is the interface of the website to look up the US import tax with HTS code. Here is an example of a product we’ve used the HTS code tool on. Every detail presented above should be listed on the commercial invoice accurately. Any error in the entries could be disastrous. Aside from delays in the customs’ procedures, it may also incur penalties that could hit on your shipping from China to US cost. If you are not using the services of a freight forwarder in shipping from China to USA, it is recommended to choose incoterms that can take your cargo as far as possible and in a situation where you can handle the rest of the tasks. When dealing with freight forwarders in China, make sure they can arrange the processing of export clearance document. To decrease shipping from China to US cost, if your cargo is under 1 cubic meter, always choose EXW. Maximize your container load to its full capacity. If your total load is at ¾ of the container load, you are still required to pay the full container price. Multiple shipments of LCLs will always cost higher than a single unit of FCL. Carefully analyze your loading and purchasing methods to drive the shipping from China to US cost to a minimum. For small packages (less than 100 kg. ), using couriers is much cheaper compared to other means of shipping. FCL shipping is best for shipping goods that are less than 15 cubic meters. Avoid LCL shipping as much as possible to reduce shipping from US to China cost. When in a hurry, air transport is the best delivery method for you. Some traders use air freight in the delivery of 10% of their goods while the rest is by sea freight. Air shipping from China to US is recommended for cargo that is less than 150 kilograms. When using postal services, sea freight, and air freight shipping, plain boxes is recommended to avoid theft. This situation is avoided with Express carriers as they have their own boxes and are sealed in front of you. For those interested in using a courier company and want to decrease the shipping from China to US cost, we suggest using a freight forwarder that offers discounts. Be aware of Chinese holidays. There are a lot of them. They may hamper the processing and shipping time from China to US. There are a lot of freight forwarders out there who may be claiming they are the right person to hire in helping you handle your cargo shipping from China to USA. Sure, anyone may claim to be a freight forwarder but the demands and knottiness of the job could spell disaster if not done right. The number of freight forwarders out there is so large and diverse that finding the right one may take ages. We added this section to help you in choosing the most reliable freight forwarder with the highest quality of services. Tip #1: Make sure the freight forwarder has the ability to provide the services you specifically need. Shipping from China to USA does not only pertain to air or sea modes of transport. The cargo may also need to be transported using trucks or trains before it reaches to the desired destination. Ask the freight forwarder if they have a trucking option or about the methods of transporting your cargo from the supplier up to your warehouse. Tip #2: Ask about the freight forwarder’s experience. This is not just about how the freight forwarder do things. It is also how they handle different uncommon situations such as port shutdowns, ship rerouting, warehousing issues, and customs problems. An experienced freight forwarder has an established network of connections and business relations, both locally and abroad.The skills and capabilities of an experienced freight forwarder can help you balance your operational speed, optimize your requirements costs, and versatile enough that any alternative or option is readily available as part of a contingency plan. Tip #3: Inquire about the freight forwarder’s contacts in China. A good forwarder must possess the ability to utilize local Chinese agents who can help in the acquisition of documentation and requirements as smoothly as possible. No matter how good their contacts in India are, your business is in China. Some freight forwarders have well-established contacts in a certain country but none on others. Tip #4: See if the freight forwarder can provide your needs and requirements. A good match would be if the freight forwarder can supply you with the requirements and quality services you may need. This is not just the services that they can provide; but also the matter of them possessing and performing the tasks and steps you require with quality and safety. The products that are shipped from China to US may have different handling and storage requirement. The freight forwarder must be able to discern and provide appropriate safety and precautionary measures for the entire shipping time from China to US. Tip #5: Discern the size of the freight forwarder’s network of contacts. Size matters. 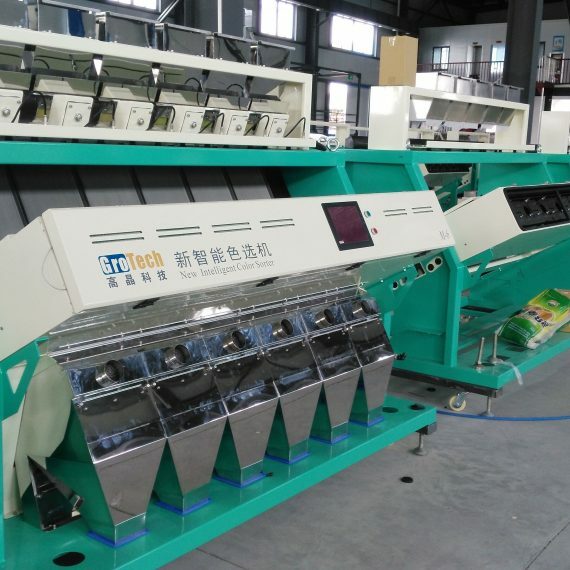 It is best to have multiple connections for every service or step in the process of shipping from China to USA. Having an alternative contact person or agency in China is also a big plus in cases where the primary contact is not available. Freight forwarders must also have excellent communication system of operations for both contacts and customers. Communication is important in the shipping industry due to the number of persons involved in the handling and processing of documents. The right freight forwarder for this kind of situation is one who can easily be reached through telephone, email, automated tracking, and even social media. Tip #6: Check the freight forwarder’s customer service. A freight forwarder’s skill set deeply rely on social skills. A great freight forwarder makes a customer feel at home right at the moment the latter walks in the door or when asking for a quote. The ability and willingness to do a walkthrough on the steps of the shipping process with a customer is also a positive sign. This is a good sign that the freight forwarder is equipped with the needed social skills to deal with different kind of personalities from both China and the USA. Having a freight forwarder at your side ensures that there is someone who oversees every aspect of the shipping process. The freight forwarder will also steer you clear of common pitfalls as well as do some troubleshooting if the situation arises. In this situation you can either choose to have a freight forwarder based in the US or connect with a freight forwarder from China. Well, it is also possible to tap a freight forwarder who is accredited and have strong network of connections in both countries. This can save you a lot in the areas of logistics, overall costs and shipping time from China to US. You just have to know where to look and who to ask. Q1. Why use a freight forwarder rather than directly avail Airline companies and commercial carriers’ services? Using the services of a freight forwarder will always be much cheaper compared to directly going to the commercial carrier’s office. The reason for this is freight forwarders usually consolidate the shipment of all their customers into one shipping. The huge total volume allows them to receive huge discounts from the carriers. Q2. Why choose a freight forwarder with local connections in shipping from China to USA? The answer is simple. Having local connections allow the freight forwarder to get the best deals. We’re not just talking about the product’s value here. This also includes handling fees and the shipping from China to US cost. When a freight forwarder is also well-versed with the local practices and knowledge, it allows more agility and flexibility in handling your shipment, leading to a faster shipping time from China to US. Q3. What makes one freight forwarder different from the others? Every freight forwarder is distinct due to the fact that each entity has different experiences, practices, and connections. Q4. Should I choose EXW or FOB? EXW is best used for small volume cargo while FOB is commonly used for large shipment. Q5. Should I get an insurance whenever I’m shipping from China to US? Of course. Shipping insurance is relatively cheap and it is better to have security over your cargo’s value rather than none at all. A comprehensive cargo insurance is recommended. Insurance is included in CIF agreements by default. When pursuing on DAT or DAP, make sure to have your cargo insured through an agreement with the shipper. Q6. How can I get a quotation specifically for shipping from China to USA? Q7. What is the minimum weight for air cargo? The minimum weight for air cargo is 45 kg. The recommended weight though is 100 kg. Q8. How can I find a cheap freight forwarder that can help reduce my shipping from China to US cost? There is no such thing as a cheap freight forwarder. The cost associated with sea freight shipping is based on the market price, very volatile, and is controlled tightly. The best thing an importer could do is find ways where expenses can be kept at a minimum. The choice of container and shipping type, Incoterms, volume per shipment, and efficiency of the freight forwarder are some examples of factors that can help reduce the shipping from China to US cost to a minimum. Freight forwarders who offer “cheap” services are either scammers or just don’t know what they are doing. Q9. Is it possible to gather all my products bought in China and send them to me in one shipment? Yes, it is possible. Such a request is not uncommon for freight forwarders. Just provide the contact information of each supplier as well as the details of your cargo. The freight forwarder will consolidate them and prepare the shipping from China to USA whether through air freight or ocean freight. Q10. How can I keep track of my shipping from China to US cost? Everything boils down to the roots of every transaction. Start with the Incoterms. Being aware of who should be responsible for the charges on both sides of the pond can help in monitoring the costs. A recommended strategy is buying via FOB from the supplier then order a DAP from your freight forwarder. Q11. When am I required to pay for my shipping from China to US? For ocean freight shipping from China to USA, the freight forwarder usually asks for payment five days before the copy of Bill of Lading is released. For air freight shipping, payment should be done before the airplane departs. Every detail one can encounter in pursuing an endeavor in the importing and shipping business can affect the decision and paths to take. Every path has its own perks and pitfalls. Time and experience are necessary for traders as well as freight forwarders to be able to fully understand every possible situation they may encounter during their shipping from China to USA. The more knowledge an importer can gain, the easier the decisions are made. Such goal-oriented decisions are very important in the success of every supply chain and shipping transaction. Time is also a resource. A trader can’t afford to do a trial and error scenario, study every nook and corner of the industry, nor try to solve every problem—from both sides of the pond —all by himself. This where tapping a freight forwarder is extremely beneficial. A freight forwarder has a special skill set—from dealing with suppliers in China to finding the most efficient ways in keeping the shipping time from China to US as brief as possible—and finally making sure the cargo reaches the importer’s designated address without a hitch. It is pretty sure that every person involved in the trade business wants the perfect formula that is convenient, secure, and most of all — able to keep the total landed cost to a minimum. We at Sourcelink can help you get over those complicated processes related to your cargo shipping from China to US. Our premium shipping and logistics solutions are the industry’s most efficient methods and at the most competitive rates. Our end-to-end freight forwarding services are impeccable. Our years of experience is matched by our staff’s expertise and effective network of connections to be able to provide you with the utmost, globally recognized freight forwarding services. We can help and guide you come up with the most astute decisions for your air forwarding, ocean forwarding, and express courier needs through our outsource expertise. Our vast network of connections and widened global reach can also help you find the best deals and agreements that can greatly decrease your shipping from China to US cost. We can provide you with competitive sea freight and air freight rates. Our company is also fully equipped with skills that can solve your supply chain problems. From paperwork to clearances, our professional staff can do it for you. 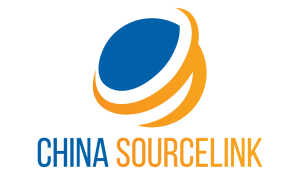 Sourcelink also offers other services such as warehousing, customs clearance, kitting, order fulfillment, and much more. Once you agree to tap us as your freight forwarder partner, all you have to do is watch us get the job done, sit back and relax, and wait for your shipment to arrive at your doorstep. 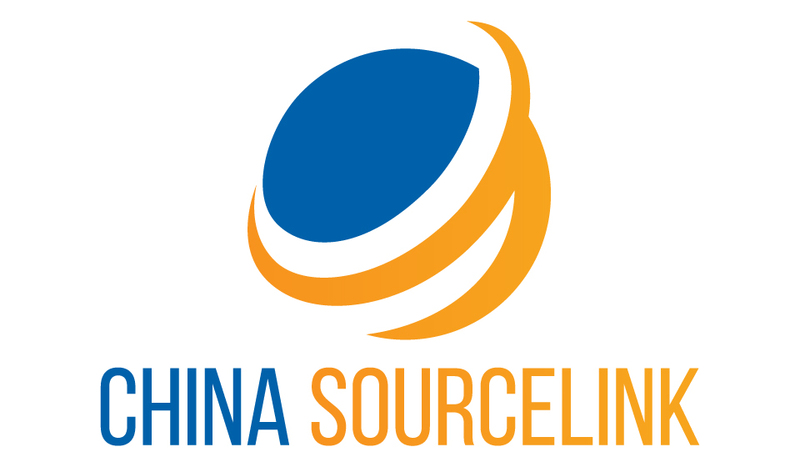 China Sourcelink is one of the leading freight forwarders in California. If you need a reliable freight forwarder in Los Angeles for your shipping from China to USA, give us a call and we’ll be happy to handle your shipping needs from start to finish. do you only do shipping from China to the US, or to other countries in america also? We are shipping to other countries in the Americas as well.